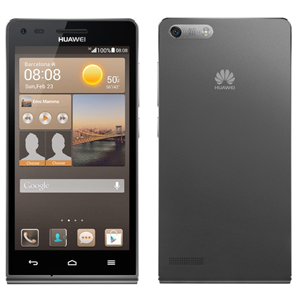 The Huawei Ascend G6 is a mid-range Android smartphone, released in May 2014. It features a Qualcomm quad-core 1.2GHz processor, 1GB RAM, 4GB internal storage, and a 4.5" IPS LCD display with a resolution of 540 x 960. Other features include a Sony 8MP camera with an f/2.0 aperture and 720p video recording, and a 2000mAh battery. All this is packed into a case that measures less than 8mm and weighs 114g.